The Federal Government yesterday shrugged off media inquiry on the controversy trailing the National Youth Service Corps (NYSC) exemption certificate of Minister of Finance, Mrs. Kemi Adeosun. It said the information already provided by the NYSC officials on the matter should suffice. An online newspaper reported recently that the minister obtained a “fake” NYSC exemption certificate. Adeosun, who is said to have graduated from the Polytechnic of East London (now University of East London) in 1989 at the age of 22, did not participate in the one-year compulsory scheme. The minister remained in the UK where she worked until 2002, at age 35, when she returned to the country. The NYSC, in a reaction to the issue, said it would investigate the origin of the allegedly forged certificate. 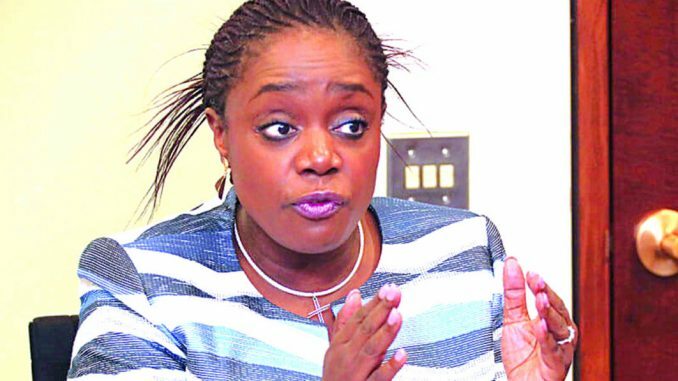 Director of Press, NYSC, Adeyemi Adenika, in a statement, confirmed that Adeosun, who had skipped the scheme, applied for an exemption certificate. Fielding questions on why the government was yet to speak on the matter, Minister of Information and Culture, Lai Mohammed, yesterday said officials of the NYSC had already spoken on the matter. Adeosun is yet to react to the allegation. Meanwhile, the FEC has approved N35.613billion for roads and bridge projects. Minister of Power, Works and Housing, Babatunde Fashola, who also briefed newsmen, disclosed that N8.9 billion was approved for construction of Ikom bridge and road in Calabar, Cross River State. The road and bridge, which will be completed in 24 months, he said, would create access to the port for trailers to move freely with their containers. The minister said that N11.78 billion was approved for road projects in Yobe State, while N8.6 billion was approved for road projects in Kwara State. According to Fashola, N5.4 billion was approved for road projects in Abia State and N933 million for automatic meter reading equipment for Transmission Company of Nige­ria (TCN).